How does Sailing Buddies work? GoSailing allows you to find people you know and easily add them to your Sailing Buddies. Once added, you will receive a notification when they go out sailing, just in case you are interested in joining them. 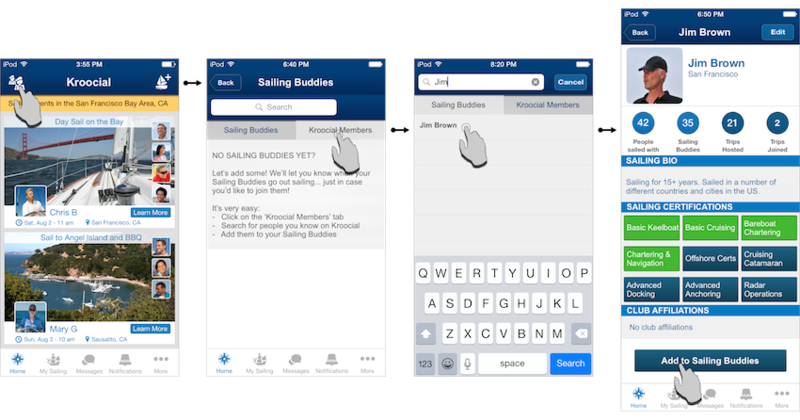 Adding Sailing Buddies is easy: follow the steps below to add everyone you know to your Sailing Buddies.